Moving from one place in Crete to the next has never been easier. Book a door to door transfer service today and rest assured that your transportation will be relaxing and on time! Whether you are switching hotels or attending a conference our experienced drivers and our comfortable vehicles will ease your mind and make sure you are in your destination right on time! 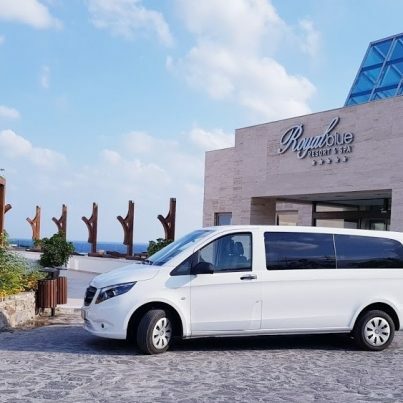 We can provide transportation in any place within the island of Crete and in very competitive prices! Whether you are looking for a Taxi service, a mini bus transfer or a group transfer, we have transportation options for all. Fill in the form below to get your price today! Our English speaking, professional drivers, will transfer you with safety within the comfort of fully licenced vehicles, always with respect to the European regulations and road traffic rules. Book a transfer Today and let us worry about the rest!